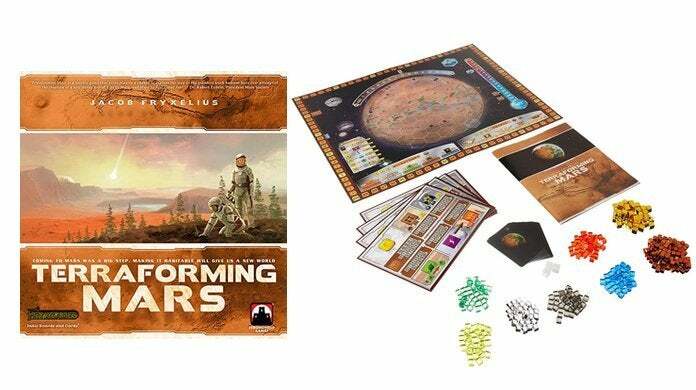 Simply put, Terraforming Mars is one of the best board games on the planet, and you can add it to your game night arsenal for only $38.90 on Amazon right now. That's 44% off the list price and only a few bucks off an all-time low. To put the gravity of this deal into perspective, Terraforming Mars is currently ranked in the #4 spot on BoardGameGeek's definitive top 100 list of the world's best board games, and the last time the price got into this territory was almost exactly one year ago. The official description for the game is available below. There are also plenty of expansions to check out if you want to take the game to the next level. "In the 2400s, mankind begins to terraform the planet Mars. Giant corporations, sponsored by the World Government on Earth, initiate huge projects to raise the temperature, the oxygen level and the ocean coverage until the environment is habitable. In Terraforming Mars you play one of those corporations and work together in the terraforming process, but compete in doing the best work, with victory points awarded not only for your contribution to the terraforming, but also for advancing human infrastructure throughout the solar systems and other commendable achievements. The players acquire unique project cards, which represent anything from introducing plant life or animals, hurling asteroids at the surface, building cities, and establishing greenhouse gas industries to heat up the atmosphere. You compete for the best places for your city tiles, ocean tiles and greenery tiles. When the terraforming process is complete, the player corporation with the most victory points wins."